Has My Employer Committed Workers’ Compensation Fraud? In the media, it is most common for employees to take the rap for the rising cost of workers’ compensation premiums. Nothing could be further from the truth. The Florida’s workers’ compensation rate-making system is flawed in that there is little to no competition allowed among insurance carriers. The National Council on Compensation Insurance, whose board of directors are insurance executives (like a fox watching the henhouse) controls the prices for all insurance carriers within the state. Florida is one of only four states that use this system that arbitrarily drives up the price of workers’ compensation premiums and lines the pockets of large insurance company executives. However, it is not just insurance carriers that abuse the workers’ compensation system. Employer fraud is rampant among workers’ compensation claims. Thousands of companies routinely commit fraud by denying claims, misclassifying employees, failing to procure insurance, and by other means. According to an investigation by Dateline, only one to two percent of employees commit workers’ compensation fraud, while, according to the Claims Journal, between 10 and 30 percent of employers commit workers’ compensation fraud by misclassifying employees alone. In Florida in 2005, of the 178 convictions made for fraudulent workers’ compensation claims, 130 of those were committed by an employer, according to Lexisnexis. 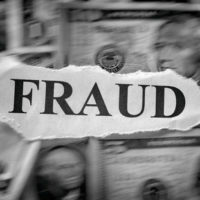 And, when an employee makes a fraudulent claim, it generally results in just a few thousand dollars, as opposed to fraudulent actions by employers that amount to hundreds of thousands or even millions of dollars. When an employer fraudulently denies benefits to save money, it is their employees who suffer. Deduct an employee’s wages to pay for workers’ compensation premiums. If you have been denied workers’ compensation benefits after suffering from a work-related injury, contact the attorneys of Celeste Law Firm today. We are eager to assist you with your case.